Motogear | Barcelona Moto3: One-Two for our riders. 1st Kent, 2nd Bastianini. Only 35 thousandth of a second divided Kent and Bastianini, under the chequered flag. Once again was Danny Kent was the winner, (his fourth race of the year) strengthening his leadership in the championship. 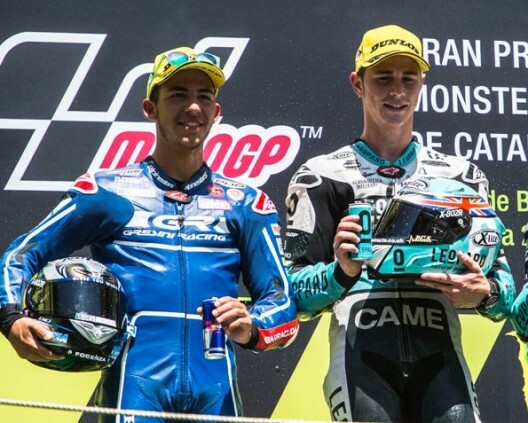 Enea Bastianini, who started from Pole Position, was not able to conquer, his first victory of career, although his conduct of the race was quite perfect. Locatelli had a good race and closed 12th. 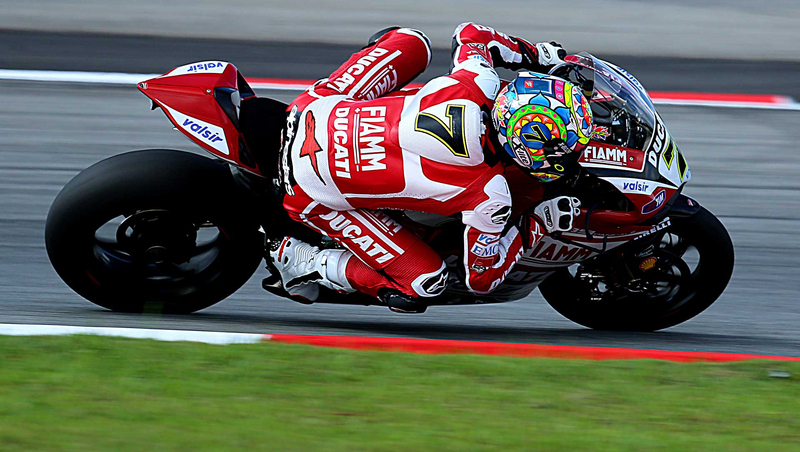 In MotoGP Danilo Petrucci, after encountering a lot of problems all weekend, was able to achieve a good ninth place. Next race in Assen, June 27th. “I wanted to attack Kent on the last corner, but in the penultimate corner unfortunately I was not able to shift into fourth gear, losing some ground, and in the end I was not so close to try. Too bad, but I’m glad anyway, these 20 points are important for the championship. Today Kent deserved the victory, it was very fast on track. However we’re getting close, we just have to improve a bit in the slower corners. This is the third second place of the season and from one point of view I feel sorry for never having gotten the victory, but the races are like this… Today I gave my maximum as always, but Kent was faster than me and it was almost impossible to beat him”.